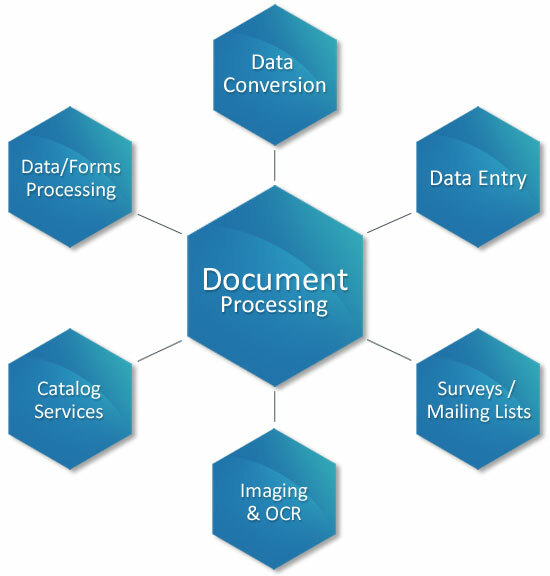 Every business in every industry has the need for fast and accurate document processing and record keeping. Whether they are applications, transactions, claims, invoices, surveys, or employee records; Infocache tailors services to meet your needs, budget and standards. Infocache�s team of experienced professionals is known to provide cost effective, accurate and timely solutions that give you the edge in a highly competitive marketplace.